Everything Cool I Know About Disney, I Learned From WDW Radio! 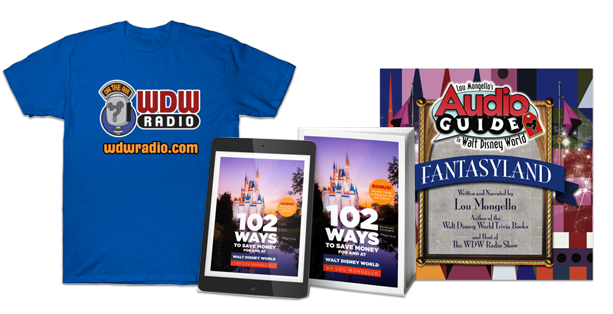 After eight years and countless interviews, reviews, Disney Scene Investigations, Top 10’s, Wayback Machine trips and much more, Lou has brought WDW Radio to a very special milestone, its 400th Show! Now, the WDW Radio Blog Team is recalling the Show(s) that taught them the most. Congratulations, Lou! The show I recall teaching me the most and that I really loved is Show #265 where Lou and Jim take the listeners on a virtual tour of Hollywood and Sunset Boulevard at Disney’s Hollywood Studios. The history and details hidden inside of the story line, absolutely, and it gave me a much better appreciation for the Studios. It is too difficult to narrow down to a specific show that has taught me the most. With 400 shows and so many interviews, stories, advice, and food reviews (yes Lou I had to include food!) how could any person just talk about one? Instead I believe it’s a common theme that runs through the WDW Radio shows that has taught me the most: looking around you to find details that those who created Walt Disney World left to be discovered. And it doesn’t stop with the parks, I have found myself researching more into certain attractions or into the Walt Disney company because I want to understand where things are coming from and how they were developed. After listening to many of the Disney Legends that Lou has interviewed, I have read books to find out more of their stories. This has deepened my appreciation for the world of Disney that has been created for us. What I appreciate is that Lou keeps stories alive and doesn’t focus solely on traveling tips. Instead he has found a unique blend of advice and history to focus his attention on. Thank you Lou for the past 400 shows, and I cannot wait for what comes next! Show #345 Finding Mary Poppins in Walt Disney World, but all of the podcasts are my favorite as I always learn something new! Lou taught me most in Show #270 Cars Land and Buena Vista Street Recap and Review LIVE from Disney California Adventure Park . I saved listening to it until the night before my Disneyland trip, and it shed light on lots of great tips and details I would have missed otherwise. When I first found WDW Radio, I was at the very beginning of my love for Disney, so I devoured many of his older episodes. I especially loved his Seven Wonders of Walt Disney World series. The show that taught me the most was Show #362 Everything You Wanted to Know About Disney’s Fort Wilderness Resort and Campground. I have stayed at this resort many times and even go to visit when we stay at a different resort. I thought I knew this resort like home but apparently I did not! Lou had so many great tips of what we could do there. My mom and I listened to the show on our drive down to Florida for our “mother-daughter” trip and we decided to spend a day at Fort Wilderness exploring since we had some of Lou’s tips and advice. My favorite tip of his was to go see the calliope in one of the barns. In all the times I had visited the resort I never knew this historical gem was tucked away by the horses. We had such a memorable day there and got to learn so much. It is our new tradition to go there and take some time to enjoy the nature…and the food at Trails End! Thanks Lou! We love the listener emails! So many great questions. We find ourselves sometimes answering the questions along with Lou and Beci. Undoubtedly, we learn a lot from the two of them. The show that ta ught me the most was Show #322 Taking Small Children to Walt Disney World. I was planning for my family’s first visit to Walt Disney World with our children. Lou, along with a couple of members of the Disney Parks Moms Panel offered many useful tips that helped make a very memorable and great first experience for everyone. I love the Disney Scene Investigation series, and when I think about the podcast episode(s) I have learned the most from, two particular DSI’s come to mind, Shows #197 and #198 Main Street U.S.A DSI: Disney Scene Investigation Part 1 and Part 2. 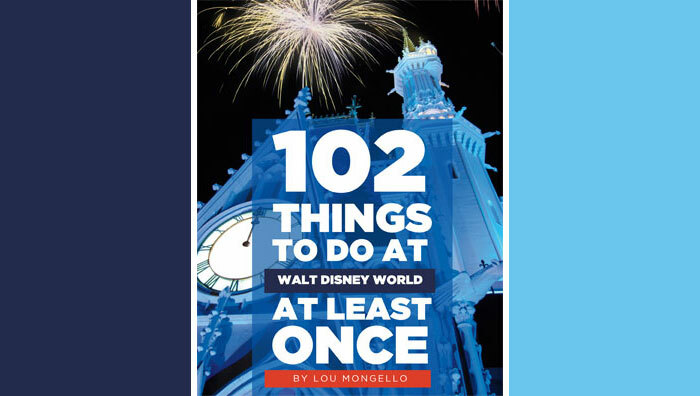 While they taught me a great deal about Main Street, U.S.A, these shows are just two of many where Lou imparts an overarching theme of WDW Radio – Slow down and look for the details, enjoy the story that Imagineers created for all of us to discover! Any show when Lou asked us to jump in the “Wayback Machine”. They always allow me to learn something new or remember a memory of my own! Our personal favs are the “Top Ten” or “Best Of” lists that Lou creates. We always learn something new, and it keeps us excited for our next trip. We loved show #314 Top Ten Places to Stop and Smell the Roses in Walt Disney World and #324 Top Ten Attraction Signs in Walt Disney World, but there are so many great shows to choose from! The shows that teach me the most are Lou’s live reviews of restaurants! It gives me a chance to hear a firsthand account about a restaurant I may not have tried yet. Any episode starring Jim Korkis! The shows that I learned most from guest star Jim Korkis. The first one is Show #350: Secrets, Stories and Things To Do at Tri Circle D-Ranch. The other one I love is Show #185 where Jim told us about his experiences playing Merlin in WDW! Both made me laugh and taught me lots of cool things. Which WDW Radio Show episodes taught you the most? Let Lou know in the comments section! I actually enjoy going to the parks by myself as I can do whatever I want. I once loaded show # 166 on my I-pod where Jim Korkis and Lou went through Pinocchio’s Village Haus and listened as I was walking thorough the resturant to actually see and experience that episode while I was in the park. It was amazing! Keep up the good work Lou! Always a pleasure listening to you.